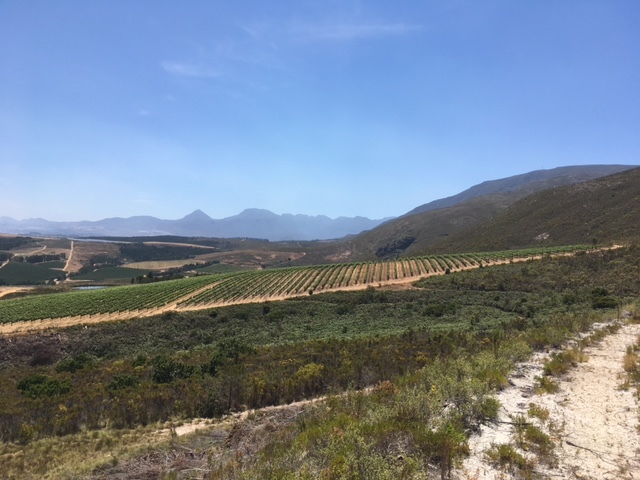 A week in South Africa in early December visiting a host of great wine producers was an easy invite to accept and so with bags suitably packed, off I headed for Cape Town. 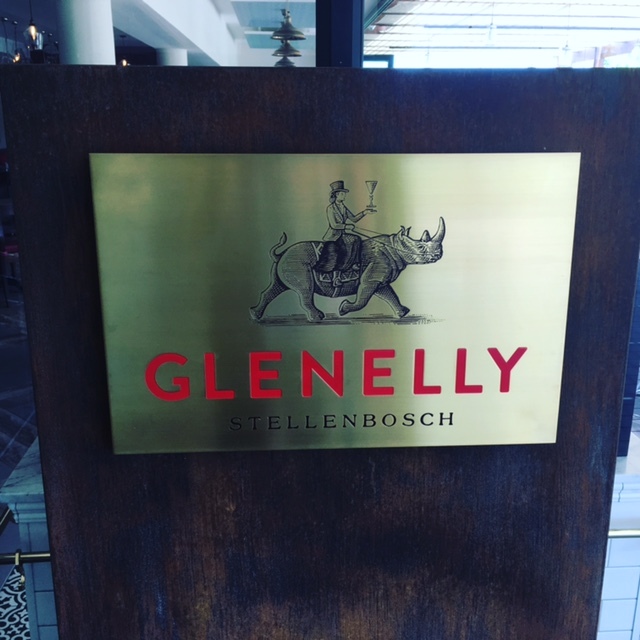 It was to be a series of incredible visits and a real eye opener to the vast improvements that have taken place in South African wine since my last visit in 2010. Time and again when tasting the great array of wines we were lucky enough to be shown, the fruit expression, purity and sheer drinkability was a joy. 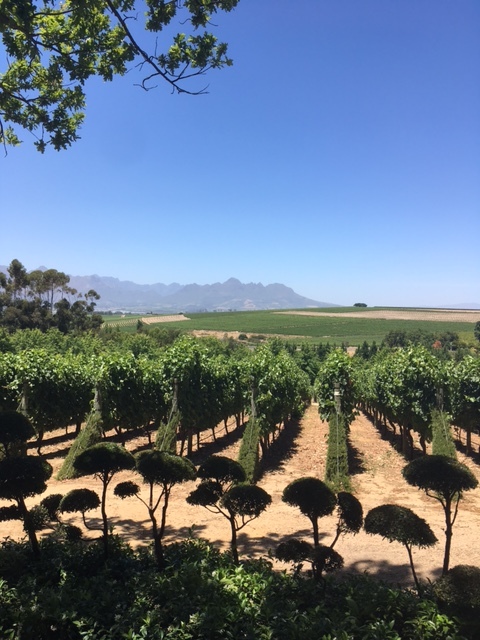 First stop was De Morgenzon, a truly beautiful estate which derives its name from the Dutch for Morning Sun, so named as it’s vines have a unique aspect that only captures the early warmth. 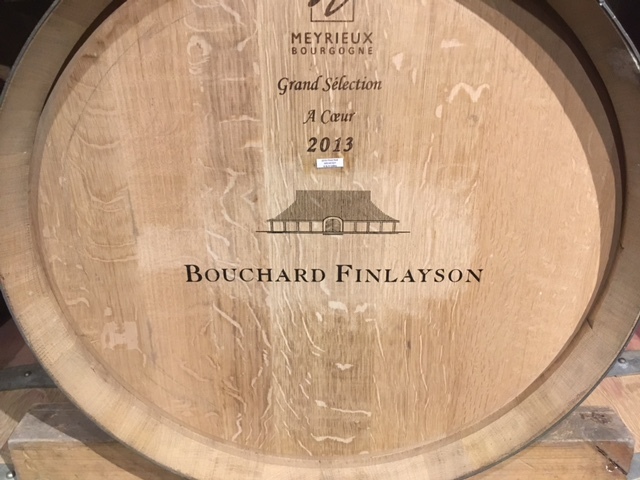 My favourite wine tasted here was the Maestro White 2015 a blend of Roussanne, Chenin, Grenache Blanc, Chardonnay and Viognier aged in a mixture of oak foudres, concrete eggs and stainless steel, a wine of real poise and elegance, fragrant and balanced. We then met with the guys behind Indaba, the wines here are made by Bruwer Raats a hugely respected winemaker and the wines didn’t disappoint, the Chenin Blanc hit all the right notes, made from fruit sourced from Swartland, Stellenbosch and Pardeberg, 5% of the blend is an old vine parcel that is aged in barrel and this definitely adds extra complexity to this great value wine. fragrant balance, lovely tropical fruit weight, all round delicious and the Galpin Peak Pinot Noir 2015 (30% New Oak) that was succulent, supple and filled with red fruits and ginger spice. A short hop back toward Stellenbosch took us to Elgin and the estate of Paul Cluver, here again the climate is cooler and this is actually South Africa’s foremost area for Apples of which there were plenty of orchards scattered amongst the various vineyards, here the Gewurztraminer was the star of the whites, not too heavy, not too fragrant my style definitely and the Village Pinot Noir 2014, perfumed and supple in an easy going style. 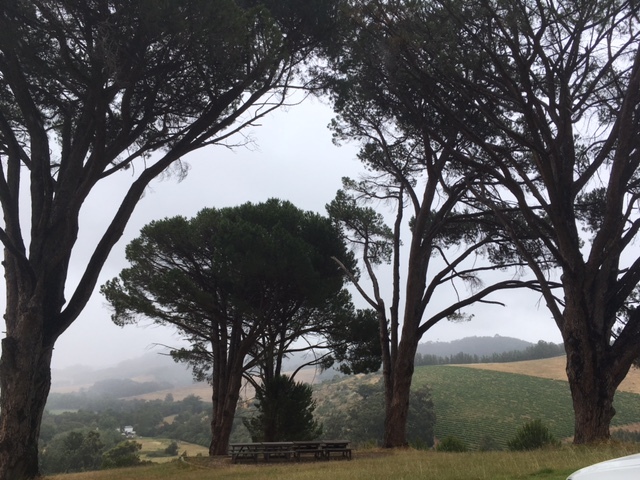 Stellenbosch was the setting for the following day, an area which could quite happily be broken down further when you see the startling differences of aspect and soil. Here the day began with a visit to Glenelly, a property which is the passionate project of May de Lencquesaing former owner of Chateau Pichon Longueville in Bordeaux, the winemaker is Luke O’Cuinneagain and he really is producing some absolutely stonking wines, my favourite here was a Glass Collection Cabernet Franc 2014 which had such freshness and balance that it completely stole the show. I had heard a great deal about the next stop on our tour and Rustenberg didn’t disappoint with Murray Barlow at the helm this iconic estate is in great hands, the consistently high quality of Murray’s wines was astounding and we were also lucky enough to try some older vintages which showed how beautifully these wines age. 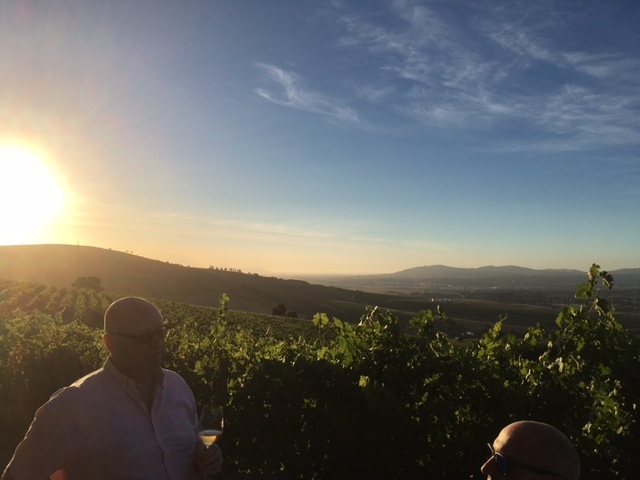 The stars of the show were the Five Soldiers Chardonnay 2014, just so complex and arresting a must for serious collectors and the Buzzard Kloof Syrah 2012, that was sleek, meaty and complex. Final stop was Kaapzicht where following a sundowner overlooking the estate we tasted through a cracking range of wines under the guidance of Danni Steytler Junior (who at the same time was showing amazing skill with the Braai) and Senior, the wines of the night for me were the Kilprug Chenin 2015 which showed gorgeous depth and layered complexity with some seriously old Chenin fruit (in fact fruit from the second oldest Chenin vineyard in South Africa planted in 1947) and the Skuinsberg Cinsault 2015, this variety is proving a bit of a star turn in South Africa and has a great deal of charm and depth of fruit that is extremely satisfying. I must also mention the Kaapzicht Pinotage, a much maligned variety but in Danni’s hands it delivers a great deal of pleasure and no little complexity. So all in all an amazing visit and I have come back even more of a fan for the wines of this brilliant country.